through November 8 at 7pm every Thursday. 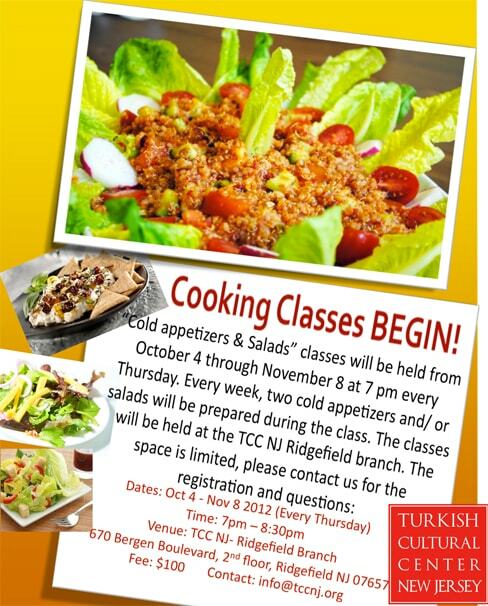 Every week, two cold appetizers and/or salads will be prepared during the class. The clasees will be held at the TCC NJ Ridgefield branch.